The Temple of Heaven in China is a multifaceted and intricate combination of religious and philosophical traditions and concepts. The temple is found in the southeast part of Beijing and was constructed between 1406 and 1420 by King Yongle, who was also the one who made the entire Forbidden City of China. 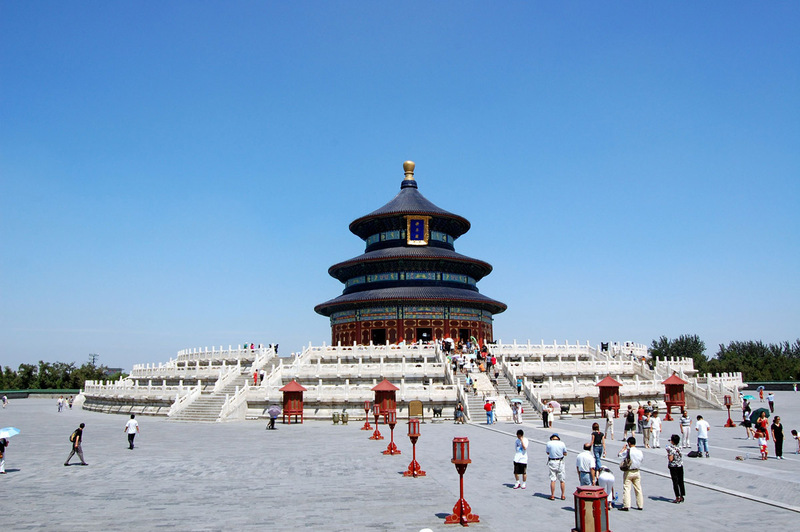 When Jiajing was ruler of China during the 16th century, he changed the name to the Temple of Heaven as it is known today. Jiajing also contributed significantly by building three more temples, which were called the Temple of Sun, the Temple of Moon, and the Temple of Earth. King Qianlong did further renovations to the Temple of Heaven during the 18th century. In 1914, the swearing-in ceremony of the Yuan Shih Kai also took place in the Temple of Heaven. It was during this time that he declared himself the Emperor of China. Four years later, the temple became open to the public. Currently, the temple is one of the most popular places for exercise because of its huge park. It became a UNESCO World Heritage Site in 1998 and was described as a masterpiece in architecture and design in one of the prominent civilizations of the world.